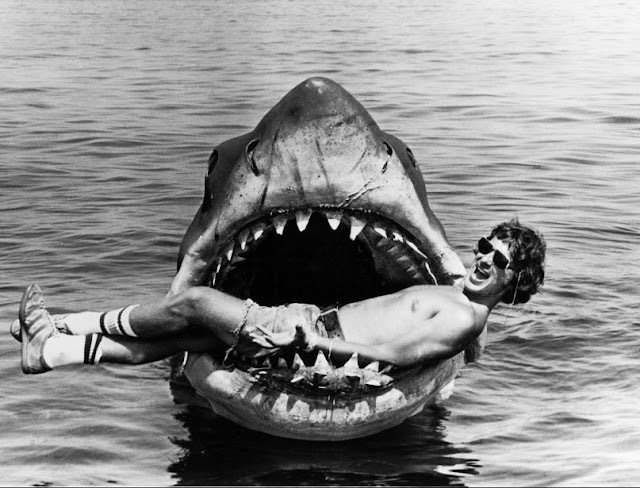 Let the Jaws theme commence in celebration, because Bruce the Shark from the Steven Spielberg masterpiece is moving on in the icons of summer cinema showdown. Bruce took home the win swimming away with 60% of the vote beating out Marlon Brando's Don Corleone from The Godfather with 17%, Gene Wilder's Willy Wonka with 13%, and Michael Myers from Halloween with 10%. Bruce moves on the 1970's finals where he will attempt to feast on much tougher competition. Special thanks to everyone that voted and thegww.com for sponsoring this contest!